VeRA left for home yesterday, via Iceland, Greenland, Goose and Trenton. What a summer it has been. I bet she has been seen by millions of people and I bet she enhanced the bond between Canada and the UK. 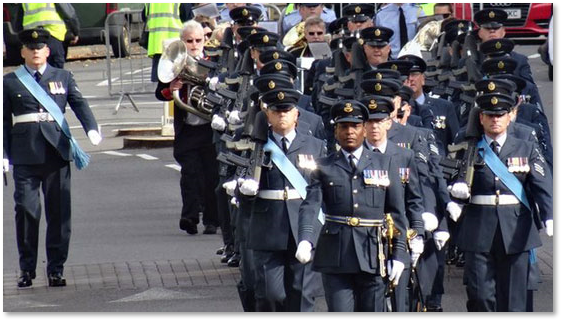 A squadron based at RAF Brize Norton has exercised its right to march through an Oxfordshire town for the first time since being given the Freedom of the County. It was awarded to 4624 Movements Squadron, the Royal Auxiliary Air Force, recognising 30 years' service to the country, local communities and charities. It marched through Witney with fixed bayonets to mark the Battle of Britain. Wing Cdr Rob Williams said the parade was an "absolute pleasure". 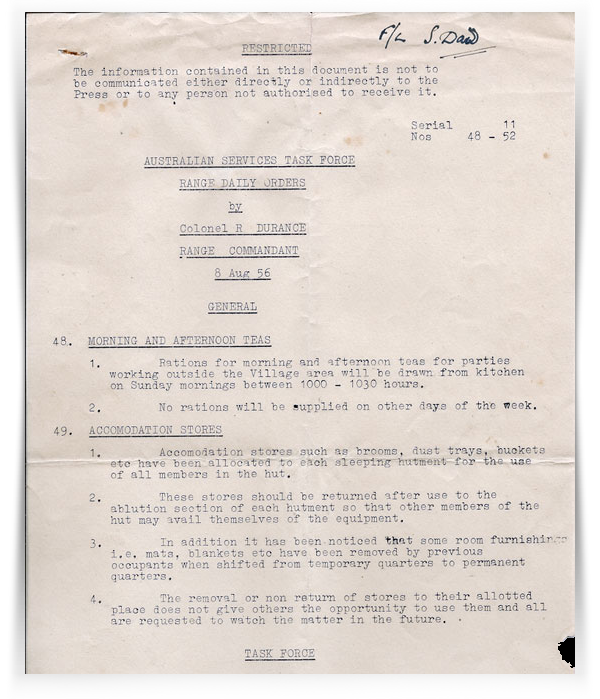 The squadron's commanding officer added: "What we like to do is mark our relationship with [Witney]. It's trying to keep our allegiance close to home." Jeannette Baker, the mayor of Witney, said: " I'm really very proud to be taking the salute. It is just such an honour for this to be happening and for the town of Witney. I'm just so proud." The squadron, which formed at the base in 1982, is the largest Royal Auxiliary Air Force unit with 256 part-time volunteer reserves. Freedom of the County is awarded to "persons who have, in the opinion of [Oxford County County Council], rendered eminent services to that place or area". 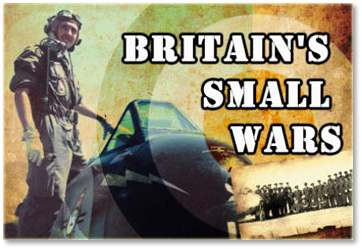 This site is now untended James, Martin and the rest of the staff would like to thank everyone who has contributed to Britain's Small Wars over the last 14 years. The website has been an interesting journey, but sadly time has come for the last founder to move on. We did ask, several months ago for anyone who wished to run the website to come forward, and no one did. So this, my friends and colleagues, is the end of Britain’s Small Wars updates. The site has now moved to a free server, any donations made to the site/sales through the Amazon stores will go to maintaining its URL. There is now only ONE email address for BSW, this email is only for admin purposes. Please do NOT direct enquiries, requests for contact, or permission requests to this email address. This email address will ONLY be checked when I feel like it. No submissions for the website please, this site is now UNTENDED. If you ignore these instructions and email this address, your emails will go unanswered and be deleted. If you notice something wrong with the site, I MAY get around to fixing it at some point in the future. No guarantees." The internet's main attribute is the ability to store information. This can be shown to be the case in the website in existence for the past 14 years known as “Britain’s Small Wars”. It covers every conflict since the 2nd World War. It was about 5 years ago on Tony Gale's website that a correspondent wrote about the BSW and said it was an interesting site for those involved in recent conflicts such as Aden etc. I thought no more about it until earlier this year when I opened the Aden part of the site and saw that a colleague of mine who served on the same unit - No 114 MU, had written an article. It made me consider sending the webmaster my “Aden Days” article which I did. 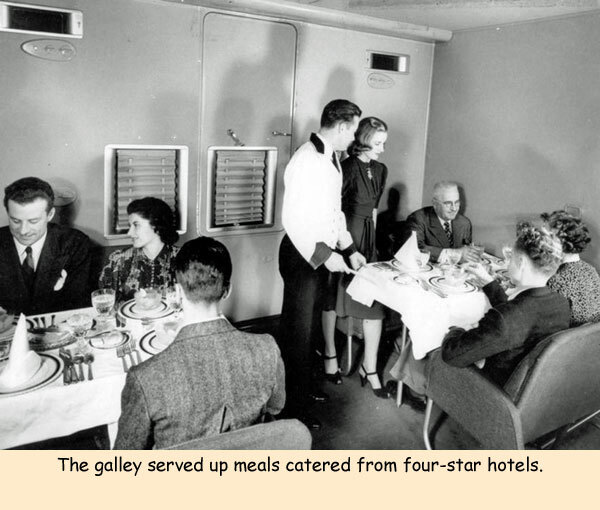 He accepted and was most helpful in positioning text with pictures on his site. Does anyone remember Frank Murray, a Mover at Changi 64/67? I was a member of the RAF from 1950 to 1972, and if possible would do it all again. I lived in New Zealand for 28 years, became a citizen and now sort of commute between the UK and NZ, next visit February 2015, mainly to help out with the surplus of Vino! Frank Murray was a Mover at Changi when I was with 48 Sqn Hastings. He was a man always on the ball, with good humour, he also made a reasonable cup of tea. 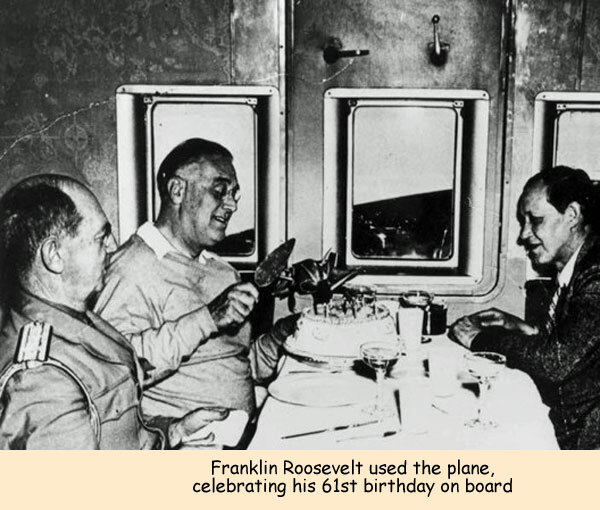 I last saw Frank at Afrag in the Libyan desert. We landed in a Hercules - lots of dust from the reverse props, a figure emerged in an officer’s raincoat, cap and large goggles. I said, “Blimey, it`s Rommel! The figure covered in dust said, “No it`s not it`s Frank Murray” still full of good humour. This was Excercise Crayon, April 1968, sadly an Argosy crashed on this excercise. 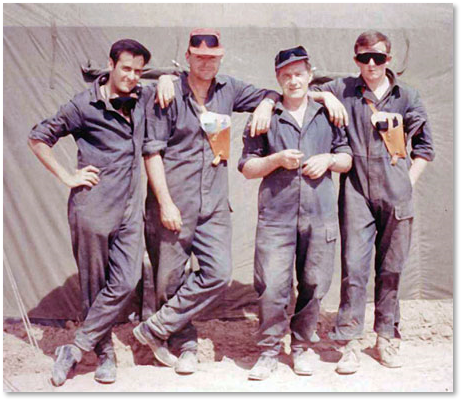 On 25th April 1968 India Team and the NEAF Team redeployed to the exercise forward airstrip at Got-El-Afrag to receive Airhead Agencies of 38 Group and the main body of 16 Parachute Brigade, both from the UK via Malta. OC UKMAMS with the remainder of the detachment redeployed from Malta to El Adem on 28th April following completion of transplanement activity. The recovery of exercise elements by air from Got-El-Afrag to El Adem took place between 3rd and 10th May whilst the tactical phases were still in progress, which provided a severe test of the capability of the 5 teams in El Adem. The two teams at Got-El-Afrag were required to work at high pressure in difficult conditions. The UKMAMS Teams were rotated from El Adem to gain experience in this type of environment. On the 7th of May 1968 during a fly-past at the improvised desert strip Got-El-Afrag, Libya, Argosy XR133 flown by John Proctor, according to the official report, flew into the runway, cart wheeled and blew up. However an eyewitness reports that the pilot buzzed the camp, his wing tip clipped a makeshift shower or water tower (50 gallon drum) at the Afraq Hilton (a tent) and they ploughed into the desert with the loss of 11 lives. One wonders how high the shower was. India Team, Got-El-Afrag, Libya, 1968. Dave Allen, Dave Gillinder, Tommy Benson and Ken Davie. Squadron Leader Bill Jacobs, OC UKMAMS, an HQ element and 4 Teams deployed to Malta, in addition to two teams that were deployed to El Adem, to provide Air Movements facilities for the annual Joint Exercise Crayon (previously named Parula). Remarks: Hit obstruction while flying low and crashed. On the odd MAMS task to Coningsby, I tried to get a peek at the BBMF Lanc, but to no avail. It made being able to wander around the Canadian Lanc just that bit more special. Pete Kettel (Sqn Ldr retired and my old Team Leader on Delta Team) took some great shots of the BBMF Lanc and Vera flying around Devon. That must have been really memorable to experience. Swift to Move! 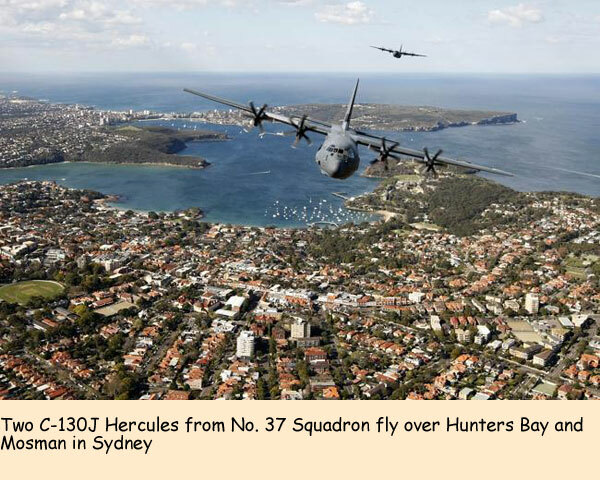 The drone of Hercules engines roaring above Sydney Harbour turned more than a few heads towards the sky yesterday [September 18, 2014]. 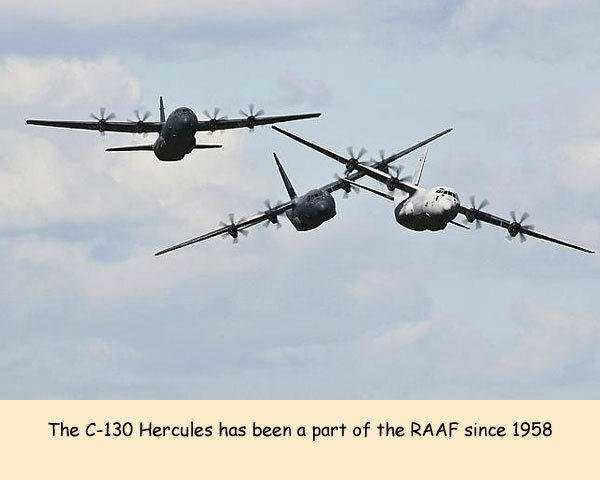 The three Royal Australian Air Force C-130 Hercules aircraft flew majestically over the heads to celebrate 800,000 flying hours by the fleet. 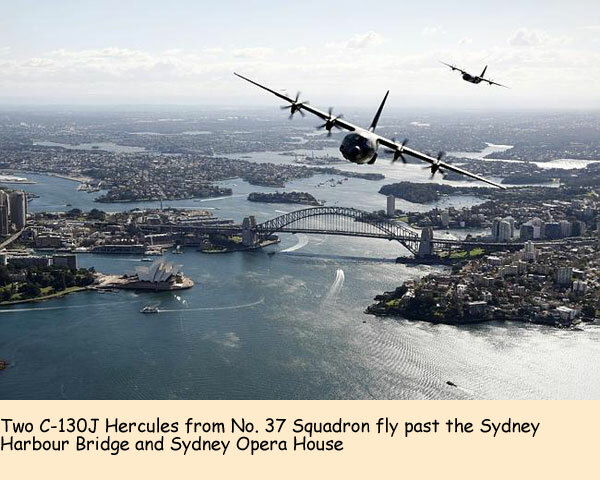 At a height of just 450m the transport planes were in full view of tourists and added another fleeting landmark to Sydney’s array of icons. 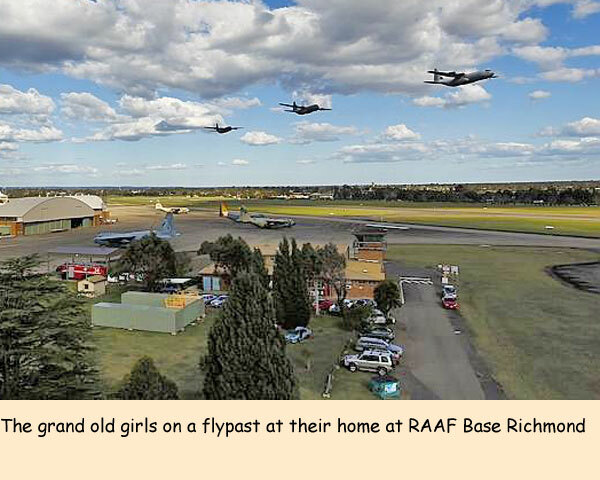 The planes soared onwards to the Richmond RAAF Base so nobody from the beaches to the west missed their chance to see them. Air Mobility Group Commander Air Commodore Warren McDonald said the milestone was a group achievement. 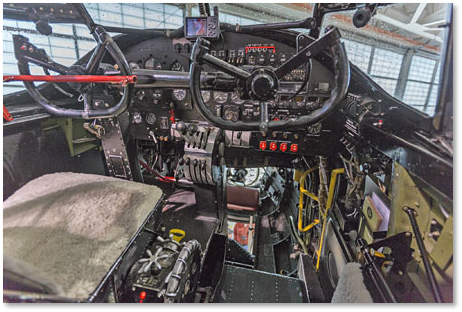 The aircraft have been used in conflicts in Vietnam, East Timor, Iraq and Afghanistan. They’ve also come to the aid of people struck by disasters in Pakistan, Indonesia, Papua New Guinea and across the South Pacific. They have also rescued Australians following Cyclone Tracy in Darwin and the Bali bombings. 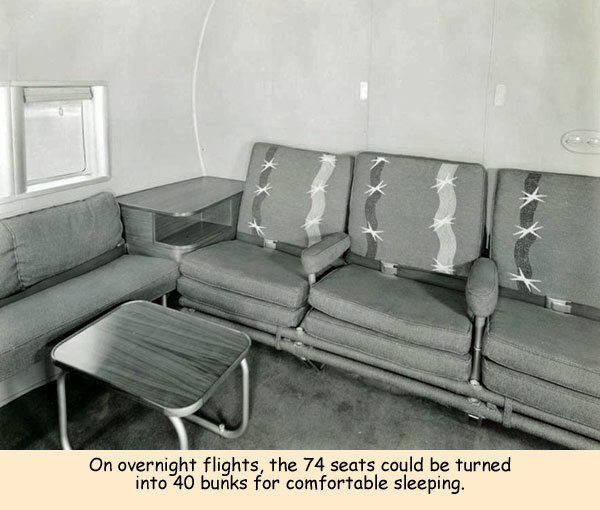 The first hours were chalked up in November 1958 when a RAAF crew flew a C-130A from the Lockheed manufacturing plant in Atlanta, Georgia. 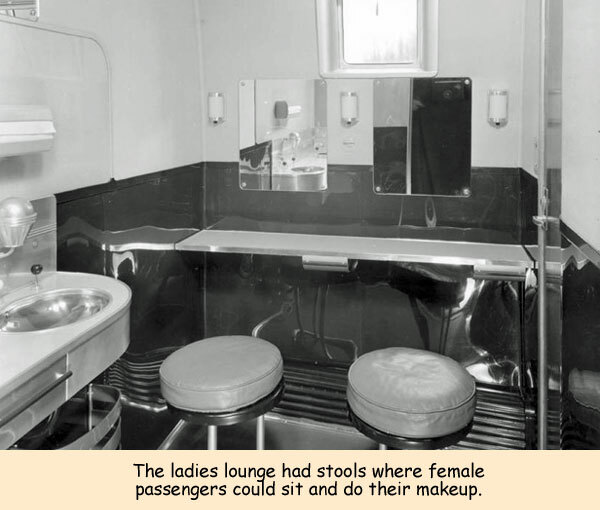 It’s been a while since I contributed (OBB #013114 - the slides of Vera at night) but the recent posts on the Canadian Lanc spurred me to add my own interactions with V-RA or Vera as she is better known. I’m fortunate enough to live quite close to Vera’s hangar at the Canadian Warplane Heritage Museum in Hamilton, Ontario. I’ve visited Vera quite often over the years. Both my kids enjoy a visit to the CWH. It’s quite amazing to get right up close to the aircraft. As reported back in January, last autumn they had a photographer’s night. 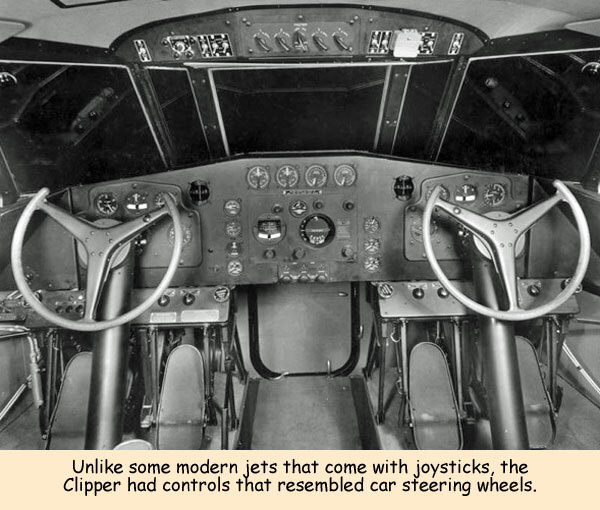 They had cockpit tours of the aircraft and I’ve attached a picture of it. She was much sparser and way more primitive than I had imagined. Loads of old guys work on Vera and the other airworthy kites that fly out of the CWH. 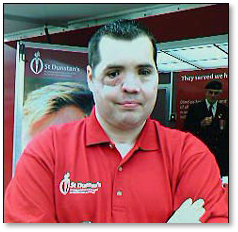 Most the guys are ex RCAF/CF or Air Canada et al techies and are great to chat with. Basra 2006: Simon’s section was called out to rescue an armoured vehicle with six lads in it which had been ambushed. The next thing he remembers was waking up in a hospital bed. He was in Selly Oak (Birmingham, UK) he couldn't see and was in great distress. He'd been shot by a sniper. The bullet had entered his cheek and came out the other side. It had fractured his jaw in four places and he was blind and laying there feeling sorry for himself. When he was told later that two others had been shot and killed that changed him. After a period of rehab he got some of his eyesight back in one eye but none in the other. He joined the Blind Veterans Association and now works for them where they offer support, training, education and respite care for others who have been blinded whilst in service for their country. This is some info that our Veterans use and the web site they visit. Department of Veterans Affairs (DVA) - www.dva.gov.au - DVA can provide assistance with rehabilitation, pensions and compensation, benefits and services and health and well being for current and former serving members. Telephone - 133 254 within Australia. Australian Government Department of Human Services - www.humanservices.gov.au provides assistance with pensions and medical benefits etc through agencies such as Medicare and Centrelink. Centrelink can be contacted Mon - Fri 0800 to 1700 (8am to 5pm) on 132 300. Veterans and Veterans Families Counselling Services (VVCS) (formerly Vietnam Veterans Counselling Services) www.vvcsorg.au. 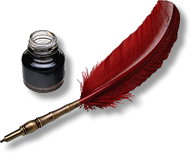 - can provide counselling services and other assistance to members both current and former plus their families. A 24-hour counselling line is available on 1800 011 046. Returned and Services League (RSL). www.rsl.org.au The RSL can provide a wide range of support to individuals if need be. This includes advocacy, accommodation etc. Legacy - www.legacy.com.au Legacy is a charity providing services to Australian families suffering financially or socially after the incapacitation of a spouse or parent, during or after their defence force service. Legacy has branches in each state with offices in most Australian cities. There are many services available to Canadian Forces Veterans, not least of which is the Veteran's Independence Program. This program helps you remain independent and self-sufficient in your home and your community. Depending on your circumstances and health needs you may qualify for financial assistance to obtain services such as grounds maintenance; housekeeping; personal care; access to nutrition; health and support services provided by a health professional. 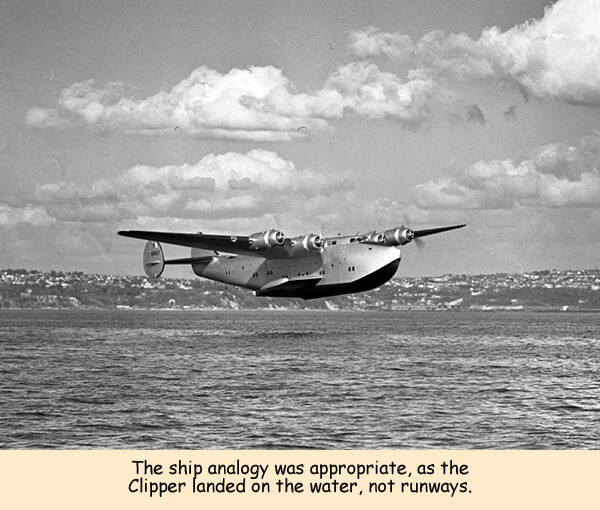 That wasn't the case in the late 1930s, when those with the money to afford trans-oceanic flight got to take the Boeing Model 314, better known as the Clipper. 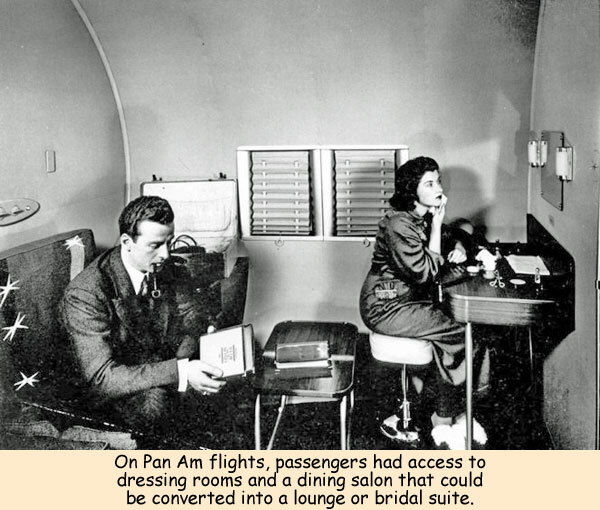 Between 1938 and 1941, Boeing built 12 of the jumbo planes for Pan American World Airways. 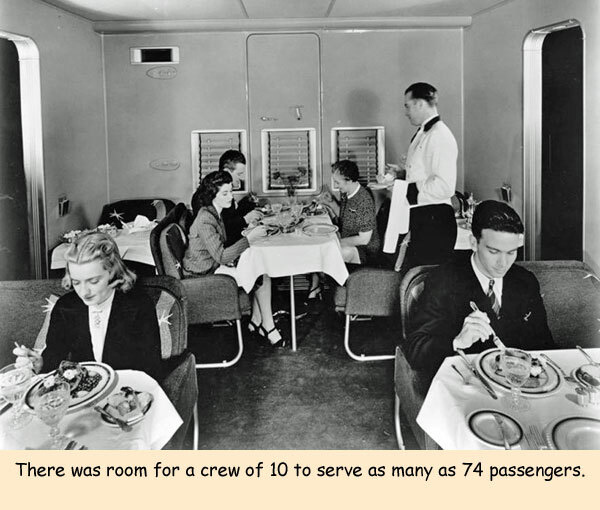 The 314 offered a range of 3,500 miles - enough to cross either the Atlantic or Pacific - and room for 74 passengers onboard. 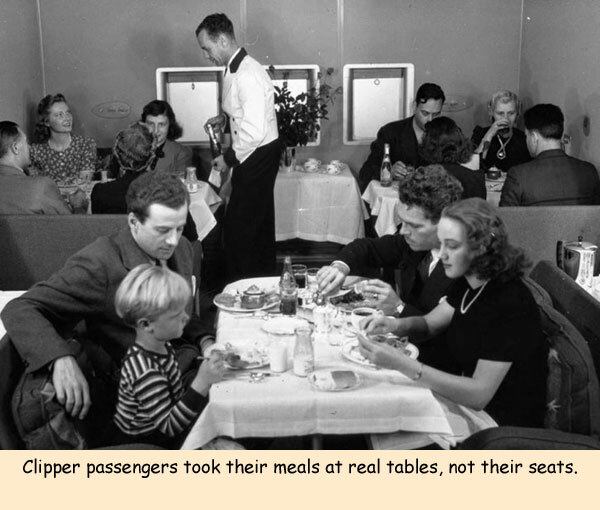 Of course, modern aviation offers an amazing first class experience (and it's a whole lot safer), but nothing in the air today matches the romanticism of crossing the ocean in the famed Clipper. All three above members had a single thought with their contributions regarding the compilation of the Scottish Armed Forces had the vote for independence been a 'yes' result! 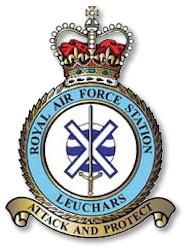 The UK Royal Air Force (RAF) has stopped combat aviation operations at RAF Leuchars in Fife, Scotland, with the relocation of 1 (Fighter) Squadron to nearby RAF Lossiemouth. Operating from RAF Lossiemouth, 1 (Fighter) Squadron's Eurofighter Typhoon aircraft will now provide quick reaction alert cover alongside the 6 Squadron Typhoons for the north of the UK. Meanwhile, the quick reaction alert for the south of the country will be provided by the Typhoons located at RAF Coningsby in Lincolnshire. 1 (Fighter) Squadron commanding officer wing commander Mark Flewin said: "The relocation of an entire fast-jet squadron is a phenomenal achievement and it is testament to the commitment, flexibility and capability of all personnel involved that it was carried out so successfully." RAF Lossiemouth station commander group captain Mark Chappell said: "Personnel from both RAF Leuchars and RAF Lossiemouth have spent many months preparing the Station for its new role. "The station is ready to provide the UK with the service the RAF was created for - control of the air and protection of our airspace." "The station is ready to provide the service to the UK that the Royal Air Force was primarily created for - that is, control of the air and protection of our airspace." Commenting on RAF Leuchars, Scotland Air Officer and RAF Leuchars station commander air commodore Gerry Mayhew said: "From its humble beginnings as a balloon station, Leuchars grew throughout the Second World War and beyond to become one of the United Kingdom's foremost air defence stations." The air base is set to become home to the UK Army units from 2015 onwards, including the Royal Scots Dragoon Guards, 2 Close Support Battalion of the Royal Electrical and Mechanical Engineers, and the 110 Provost Company of the Royal Military Police. The Typhoon is a twin-engine, canard-delta wing, multirole fighter manufactured by a consortium of EADS, Alenia Aeronautica and BAE for deployment during air operations, including air policing, peace support and high-intensity conflict missions worldwide. Subject: Re: The next newsletter - what if? No idea! However, out for a walk this morning, I did come across the attached caught on a Hawthorn hedge just down the road from HQSTC at Naphill or whatever this month's title is. The 'Hardest Day(s)' topic mentioned in your earlier e-mail reminds me of my posting to Maralinga, a nuclear testing complex in the middle of nowhere. It was an Australian Army base under the command of Colonel Durance. In May 1956, six of us (four supply/movements and two radio technicians) who had recently arrived at RAAF Edinburgh Field as part of the RAF element on Operation "Buffalo", were tasked to deliver two Landrovers to Maralinga; quite an adventure for us greenhorn Pommies who had been in Oz for less than a month. Our four day drive began along tarmac roads to Port Pirie where we left 'civilization' behind when we turned inland and travelled over scrub land and desert to reach our destination. On arrival at the brand new Maralinga village, our home for the next six months, we found it was still under construction and were directed to travel some further distance on until we reached a temporary Army camp site close to the forward area test drop zone. We lived in these two-man tents for a few weeks until the new site was ready for occupation and and the newly constructed runway had been completed. If we thought we were beginning another adventure, reality soon set in when we learned this was where our 'Hardest Days' started, not so much for the physical effort of unpacking massive amounts of RAF equipment shipped out from UK and its preparation for use, but for the 'hard' part that really hurt us was when we heard the working routine for the duration of our stay at Maralinga was to be a 6½ day working week. New adventure? Not really! Sunday afternoon off was allowed so that we could wash our own laundry. As our post war penny-pinched government paid out £10,000,000 to have Maralinga built, the designers had overlooked two important requirements: street lighting and a laundry. I believe the nearest laundry was about 700 miles away in Adelaide, or was it Alice Springs? Back home, the Air Ministry had to dole out some more pennies by compensating us with ten shillings a week extra on our pay for the 'privilege' of doing our own washing. There's a first time for everything; for me, this was definitely one of them. I think we were to start with twelve Tornado's for our Air Force, one or two Frigates for our Navy, and a mini regiment for an Army. Get rid of the nuc subs from the Clyde. 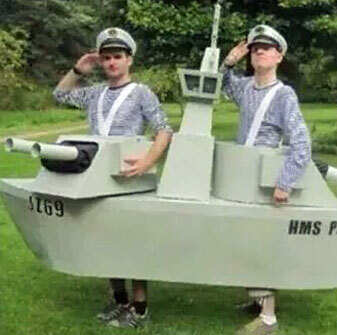 I suppose we could have commandeered one of the aircraft carriers being built in Rosyth, but that is all now academic, for now at least. Of course if the political parties renege on the their part, I think it would be fair to say that we would demand a second referendum, that would almost certainly have a different outcome, watch this space. I think England should also have a devolved parliament, and maybe placed in a central location, like York, so that the majority of the population would not feel as alienated, as they do at present, only a suggestion, none of my business really. Of course, if we took twelve Tornado's out of the RAF, that wouldn't leave you lot with much. 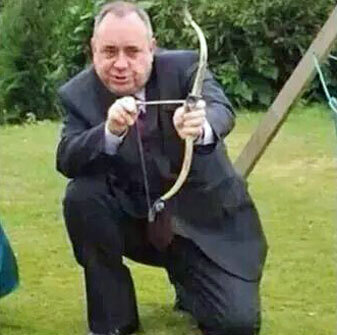 A good bit of news, King Alex the 2nd has gone, to be replaced with Nicola Sturgeon; out of the frying pan into the fire. Some [expletive] down south, suggested rebuilding Hadrian's Wall, but had no idea that it is entirely in England, of course it is, it was built by the Italians, and all they were any good at building, was roads, lousy at geography, and same [expletive] had no idea what to do about all the English people north of the wall, maybe he thought that they could all apply to become Scots. 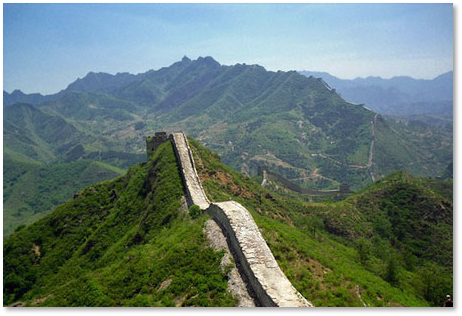 No point in rebuilding a wall that we would have to demolish again; funny old world. 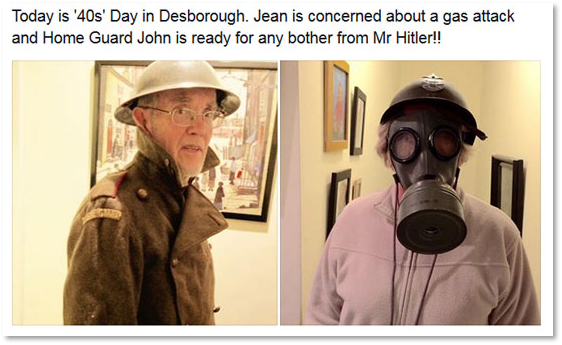 John & Jean Bell being nostalgic! 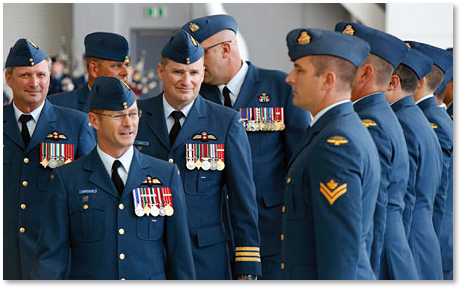 CFB TRENTON - The Royal Canadian Air Force's largest squadron has welcomed its new boss for the next two years in Lt. Col. Troy Paisley. Paisley succeeded outgoing commanding officer (CO) of 436 Transport Squadron - or Canucks Unlimited - Lt. Col. Mark Goulden during a change of command ceremony held in Hangar 1 Thursday morning. Goulden assumed command of the Canucks Unlimited in July 2012. Both airmen, along with the air base CO, Col. David Lowthian, inspected the parade, flanked by the squadron's original aircraft, the C-47 Dakota (DC-3), and newest bird, the C-130J Herc as backdrop. Paisley, a Kingston native who now lives in Belleville, has logged more than 5,400 hours flying transport aircraft in the Royal Canadian Air Force (RCAF) and has flown more than 70 mission in Afghanistan. “Air mobility and global operations is our mission,” said Lowthian. 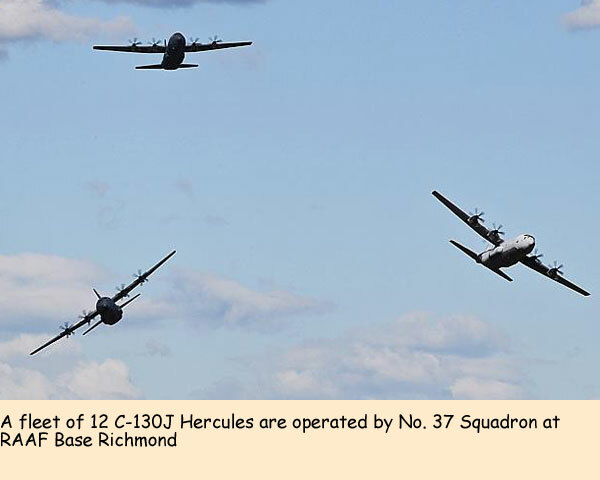 “Time and again, it is the C-130J Hercules aircraft and our crews from 436 Sqn. that are seen alongside our Canadian flag and among our international allies in all corners of the globe”. Under Goulden’s leadership, added Lowthian, 436 flew the J-Model's capacity from a nascent capability into one that stands on its own. “Impressively, Lt. Col. Goulden’s team has expanded its mission sets and its ability to deploy multiple aircraft concurrently - anywhere, anytime!,” he said. As a squadron, said Goulden, 436 faced numerous high-operational-tempo challenges over the last two years. “We never failed,” he told his former airmen and airwomen standing in parade. 436 was assembled in Gujrat, India on Oct. 9, 1944. Equipped with the C-47 Dakota (DC-3), the Squadron`s primary task was to supply troops and material to the Allied 14th Army in Burma. 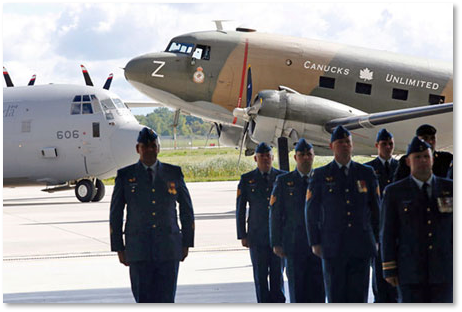 The Canucks Unlimited has participated in every major airlift operation the CF have been involved in for the past 60 years. 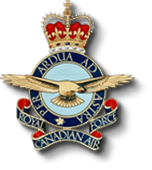 Today, as in the 1950s, 436's primary tasks remain tactical transport, airdrop support of the army and global strategic airlift of personnel and equipment in support of Canada`s defence commitments. Paisley shared his enthusiasm for his new position as he comes back to the squadron where he began his air mobility career in 1995, flying the Herc. “The one thing that is constant in air mobility is change,” he said. MARINE FORCES (NAVY): 2 x Frigates ; 4 x Mine counter -measure vessels; 1 x command platform; 4 or 6 x Patrol boats all from the current Royal Navy Fleet. Two off-shore Patrol Vessels and miscellaneous support vessels as deemed necessary. LAND FORCES (ARMY): One deployable Brigade; 2 x light armoured reconnaissance units; 2 x light artillery units; 1 x engineer unit (bridging, mine clearance and engineering functions); 1 x aviation unit operating 6 helicopters for reconnaissance and liaison; 2 x communication units; 1 x transport unit; 1 x logistics unit; 1 x medical unit. Special Forces, explosive and ordnance disposal teams as appropriate. AIR FORCES: An Air Force HQ organization; One Quick Reaction Alert (QRA) squadron comprising 12 x Typhoon Air Defence fighters. One tactical squadron of transport aircraft (6 x Hercules C-130J type transports) and the support personnel (air crew/engineers/logistics/training etc.) to operate this formation. CIVILIAN SUPPORT: Appropriate numbers of civilians to support defence functions - strategic planning; oversight and policy functions and Security. Total SDF personnel established between 5 and 10 years after independence will be 15,000 regulars + 5,000 reservists. In determining the structure of the future SDF the SNP were assuming that there will be wholesale defections of current UK Armed Forces personnel to man these suggested formations. Also, the assumption is that not only the manpower, but also the major assemblies (Ships, Armoured Vehicles, Aircraft and the appropriate equipment support and spares etc.) 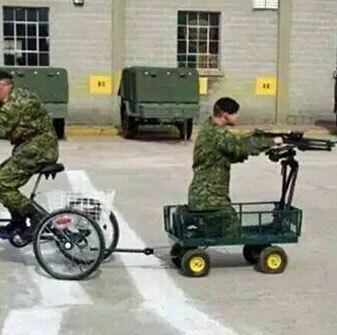 will be handed over by the UK to support this new force. 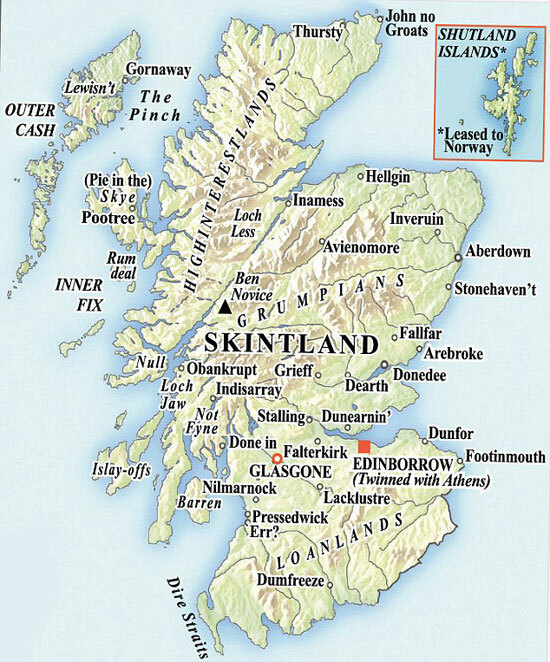 The make-up of the SDF is based on the SNP Government’s assumption that they will inherit a share of the existing UK defence assets - this is what is described as the ‘Scottish Share’ based on a % of current population, and would be of a value to Scotland of approximately £7.8 Billion! However the more important point here is does anyone really believe that the UK will hand over all this equipment just because the SNP say they should? Does anyone actually believe there would be mass defections from the rank and file of the current UK forces to man-up the SDF? I think I can say with some confidence that there will be no mass defections. Once again we see another plan of the SNP beginning to turn into a fiasco based on nothing more that bluff and bluster and a finger in the breeze to determine which way we go today! This does not auger well for Alex Salmond and his Scottish Government’s SDF projections. Vote NO to maintain an effective defence of the UK. Thankfully we now know the outcome, so the above can be consigned to the bin, and my copy of the “White Paper” , is now acting as a very robust door stop! 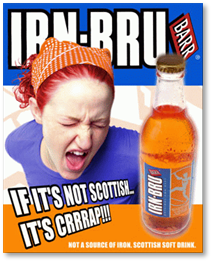 Brewing Irn Bru (grand stuff, by the way), exporting oil, smuggling whisky, maritime recce for Calais migrants, chill out rooms for 16-18 year old voters, monitoring haggis migration, moving sheep to market, or a soundproofed environment for bagpipe practice. The first Airbus A400M Atlas transport plane for RAF Brize Norton has made its maiden flight. The turboprop aircraft took off from the airfield at manufacturer Airbus Defence & Space’s factory at Seville, in Spain, at 2.25pm local time on Saturday, August 30, right, and landed five hours and five minutes later after being put though its paces over southern Spain and the Mediterranean. 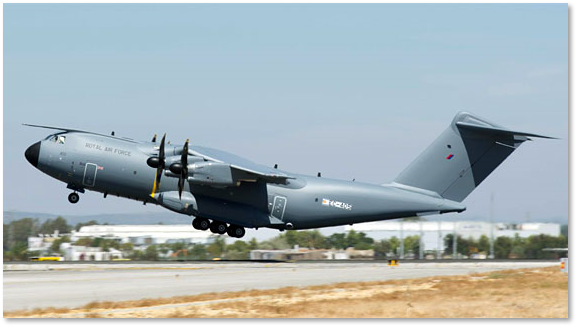 Airbus’s chief military test pilot, Edward Strongman, said after landing: “It was very satisfying to conduct this first flight of the first A400M for the Royal Air Force. The aircraft, which was back in the air again on Thursday, is the one of 22 ordered by the RAF at a cost of more than £3.2bn and is set to be delivered to Brize Norton by the end of this month. After training of flight and ground crews, it is expected to enter service in March next year. The Scots want their own Air Force and for obvious reasons it has to be named something else, so how about Caledonian Regional Airborne Patrol, or CRAP. Unfortunately they only have the finances at the outset for one aircraft and it has to be fuelled cheaply, a mixture of McEwans/Youngers & Tennants (for the uninitiated these are Scottish brews). 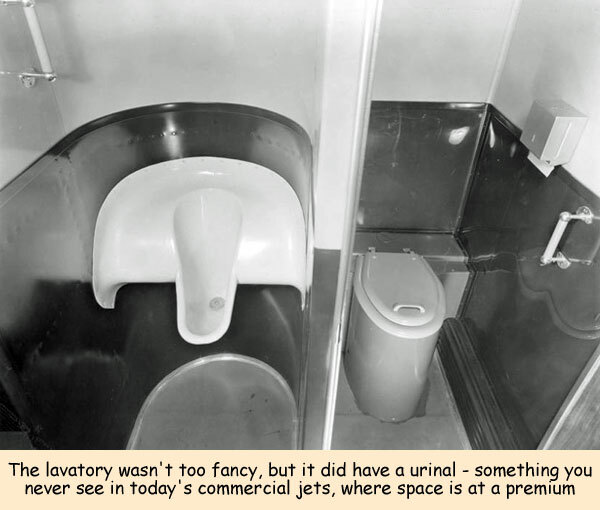 The Fairey Aviation Reconnaissance Transport, or FART, would fit the part nicely. It is great to read the OBA Newsletters and I was delighted to see the photograph from the January 1980 RAF News sent in by Richard Allen of the Movements Operators from the RAF Movements School qualifying in a live operation in RAF Akrotiri. At the time I was OC Movements Training at the School and appear in the photo as the bearded young officer on the left of the photo! This was an interesting “exercise” in that the powers that be wanted additional movements support to reinforce Akrotiri during the on-going airlift of troops and equipment to Rhodesia. The OC RAF Movements School at the time, Squadron Leader Mike Yule, was asked to provide any support that he could. The School had No 28B Movements Operator Course within a week of graduating as LACs on 21 December 1979 and about to sit their final practical and theoretical exams. I persuaded Mike Yule that if I took the whole course, together with an examiner, we could kill two birds with one stone - firstly, provide reinforcement to Akrotiri with trainees and, secondly, allow them to graduate on a live operation! 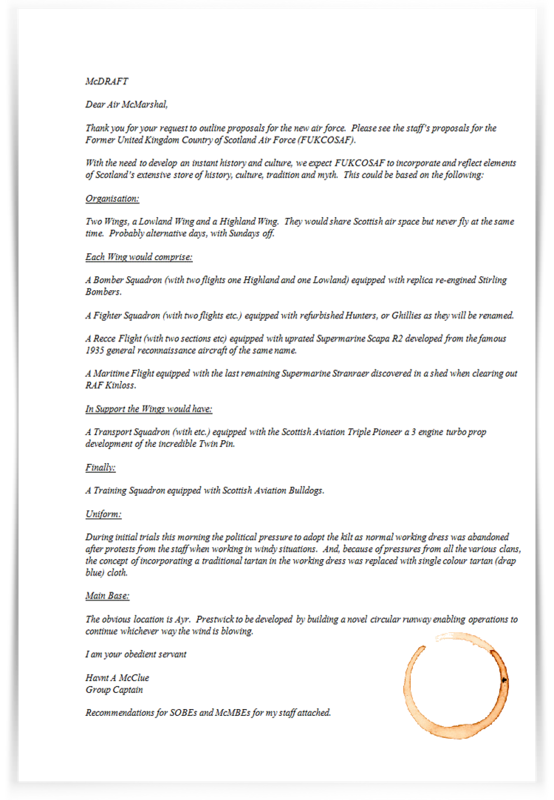 The plan was approved by SAMO Akrotiri and the powers that be both in MOD’s Mov 4 and the staff at HQ 38 Gp, Upavon. Supported by Sgt Ken Morris and Cpl Geoff Cox, their course instructors, and Sgt Dave Howley from the Examination Cell, we all flew to Akrotiri from Brize Norton on a British Airtours B707 on 14 December having been warned that we might not be back for Christmas! This must have been the longest final exam for any Movements trainee in that it lasted 9 days with the trainees being continuously assessed both on the job by all of the staff and being taken away by Dave Howley to undertake their theory tests. The course started with 16 trainees, not all of whom made it to Akrotiri! However, those that did responded superbly and on 22 December where presented with their LAC rank badges from the Station Commander, Group Captain Gray, thus qualifying as Movements Operators. We all flew back to Brize Norton by VC10 on 23 December, just in time to get the whole detachment home in time for Christmas! Best wishes to you and all and keep the Newsletters coming! 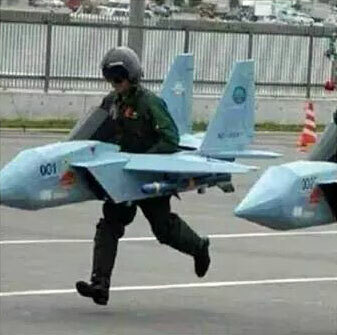 Well, with so many Socialist politicians north of the border, I don't think they would have an air force; it would take too much money from the welfare budget! I reckon they would source flying machines from museum stock. Two aeroplanes they would definitely go for would be either version of the Short Sturgeon and the Sopwith Salmonander. But I understand the Salmonander is now being retired from service at great cost to the (UK) taxpayer. 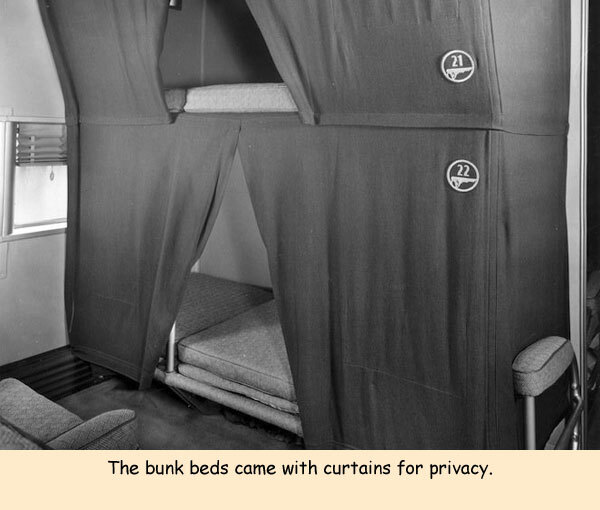 Or Nicola’s Antiquated Air Force Institute - NAFFI. Well, notwithstanding the far better job that Tom Clancy would have made of the job, the exercise is to determine how Scotland would have best protected their new, sovereign rights post-independence. 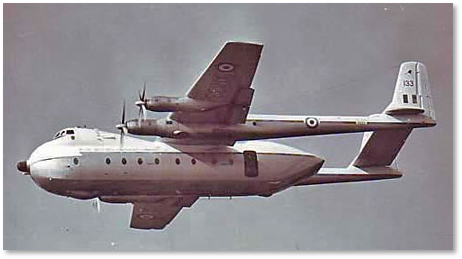 Right off the bat there would very likely have been limitations on the type of aircraft selected for the "Caledonian Air Force." 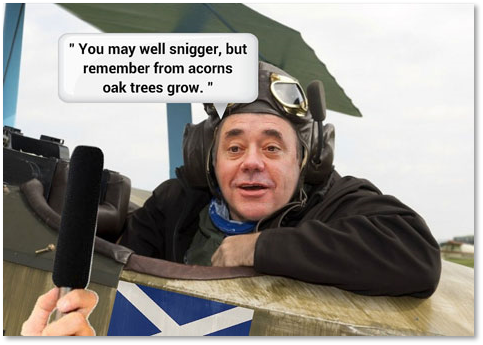 Given the SNP's anti-nuclear stance, the presence of and need for nuclear strike capable aircraft would be a definite non- starter. Negatives now out of the way, there would be an immediate and continuing need to patrol and enforce their maritime sovereignty through coastguard duties as well as monitoring fishing rights and oil drilling rigs. 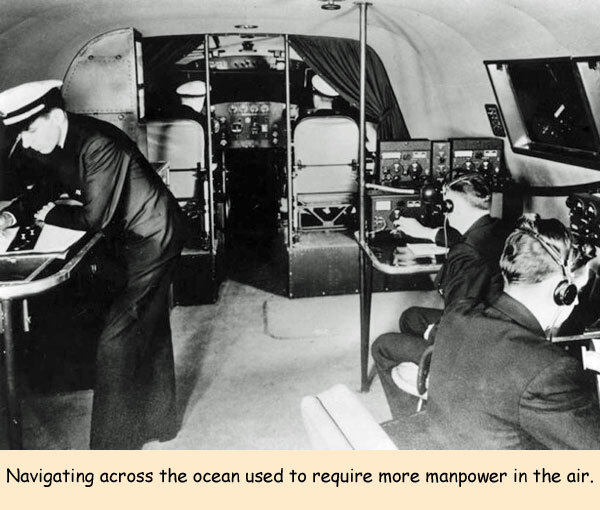 So, maritime patrol/ policing aircraft would be needed with both fixed wing and rotary aircraft being necessary. Given Whitehall's ill-advised decision to scrap the Nimrod, the purchase of such aircraft from England would not be a viable option. If Scotland decided to joined the E.U., as an independent entity, there might have been bargains to be had in purchasing the proven CASA 235 from Spain in a maritime policing role while the rotary component could be met by a wide range of suppliers in Europe or the diminished U.K. These aircraft would be under the sovereign control of Scotland with, presumably, a mutual defence agreement with the U.K.. However, given that Scotland's geography faces the Arctic regions for which many countries will be jostling for control, not the least of which will be Canada, Russia, the U.S.A., as well as a number of the Nordic countries, there would be a need for an air defence/interdiction force comprising current generation, fast jets. The massive economics and logistics of this need strongly suggest that there would need to be a direct agreement with the greater U.K., to maintain their presently situated fighter force in Scotland. The cost of maintaining U.K. aircrew and maintainers as well as supporting tanker aircraft could be partially offset by leasing airfield facilities or ongoing oil revenues. With apologies to the aforementioned Tom Clancy, I'll finish off! Was looking through some old paper cuttings and came across this watercolour sketch by R (Roy?) Layzell ? who was an auxiliary mover on a task we did to Hannover on 15 Sept 2000. 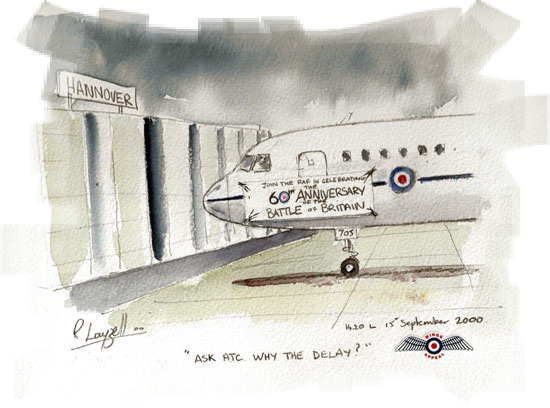 Had a delay due to an ATC slot time, so Roy whiled away the time by producing this sketch which he gave me on our return to Brize Norton. He showed me some of his other paintings which I am sure would be of interest to all should you contact him through the network. Hope you are keeping well. Hard to believe that come the 25th September it will be 51 years since we joined the RAF! 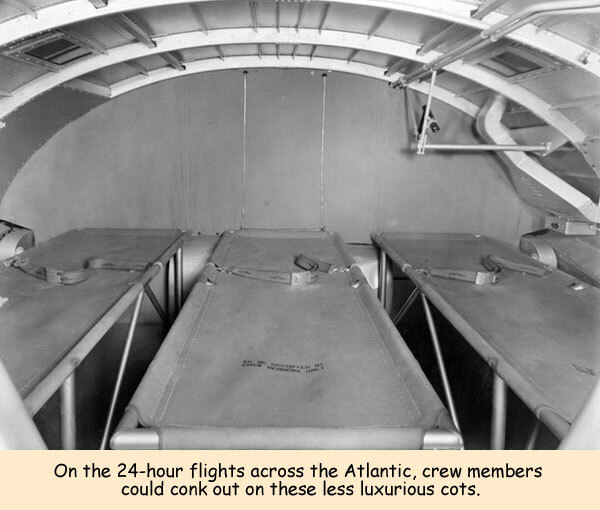 the four Auxiliary squadrons in Scotland have a reprieve. Sighs of relief heaved all round. 1971 Norway: The Echo Team Leader was Fg Off Paul Steiner, a headstrong individual. On a specific task to Bodo he instructed all of the team to take Arctic protective clothing. On the approach to the airfield, whilst over the Norwegian mountains, there was plenty of snow around and so he ordered the team to don their protective clothing. Not taking heed whatsoever of their protests they all had to don parkas, balaclavas and even knee-high mukluks. The aircraft landed and the team leader leapt out enthusiastically, followed sheepishly by his team only to be greeted by bright sunshine and the ground handlers wearing shorts and laughing uncontrollably! On the same task (rumour has it) the team were accommodated with a Norwegian family. Although friendly enough the team were getting pretty fed up with being fed a cold breakfast every morning, normally of fish. FS Ken Browne ('The Hustler') advised the team that he had fixed it with 'the mother' and had shown her how to make bacon and eggs. Sure enough the next morning they were given bacon and eggs for breakfast - straight from the fridge where she'd placed them the night before after cooking them! We are none of us getting any younger, and our health is not what it used to be. Some day any one of us might find ourselves in real trouble, either health wise or living situation, with nowhere to turn. The following e-mails address this issue, and provide us with some contact information that hopefully will lead us to peace of mind. The resources are there for us, whatever you do don't let pride or fear stop you from getting help when you need it! In UK to access your local Council website just enter www.swindon.gov.uk or www.sunderland.gov.uk etcetra. Whichever Agency you contact they will despatch a caseworker or welfare officer from your area to chat and discuss and identify problems and then hopefully take the necessary action. A benefits survey should be carried out at the same time to identify any benefits not being claimed or entitled to and correcting this situation. The RAFBF do not have their own caseworkers and will either ask the Royal Air Force Association (RAFA) or SSAFA to despatch one to handle the case. In the nine years I have been with SSAFA I have handled nearly 100 cases now. Every case is different, debt, bankruptcy, bathroom conversions, stairlifts, EPVs (Electric Scooters), Respite Breaks, Rent arrears, housing, brown & white goods, further education, house repairs, removal expenses, funeral costs, claiming medals, carpets, home alarms and more. A majority of my clients have been ex-Army but quite a few RAF too , Royal Navy, Marines and an ex-Indian Air Force veteran, an ex-USN Sailor and have managed to get the Canadian Legion to assist an ex-Army chap living in Wainwright. The youngest client was 18 (Homeless) and the oldest was 93 (EPV). If anyone is having problems of any kind just contact one of the above, don't be proud and suffer!